Was Megatherium an ancestor of the bear? 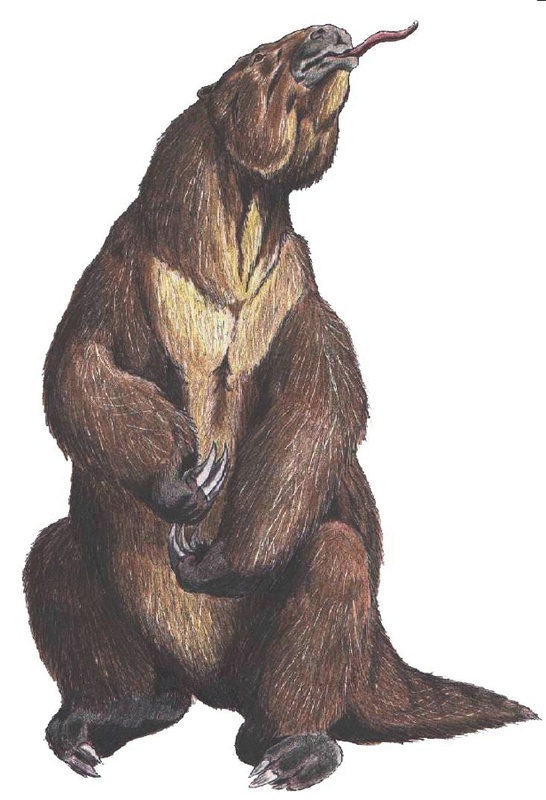 Megatherium’s shaggy brown fur might remind you of a bear, but its closest modern-day relatives are actually tree sloths, anteaters and armadillos. The name Megatherium means ‘giant beast’, an appropriate name for a creature six metres (20 feet) long and weighing up to four tons. This giant sloth roamed South American grasslands and woodlands between 1.9 million and 10,000 years ago, possibly going extinct because of early human hunters. The brown bear’s most recent ancestors are Ursus minimus (alive 5.3-1.8 million years ago) and Ursus etruscus (alive 5.3 million to 11,000 years ago), both of which were very similar in size to their modern-day counterparts. Previous story How many dwarf planets are in the Solar System?